This was originally posted last summer. Today being Bloomsday, I figured it was a good time to post it once more. In Ulysses Joyce toys with time and space all throughout the book. In the "Proteus" chapter, Stephen Dedalus ruminates and meditates on the nature of Time and Space using Schopenhauer's interesting words Nacheinander (German for "succeeding each other") and Nebeneinander ("beside each other"). The main character Leopold Bloom sells newspaper advertisement space for temporary periods of time. In Richard Ellman's complex exegesis, Ulysses on the Liffey, he argues convincingly that the 18 episodes can be broken into six triads within which the dominant categories of Space, Time, and Space-Time repeat over and over. Relativity (or more specifically what Einstein called "special relativity") also dominates the book, especially in the first six chapters as we follow the movements and thoughts of two different, separate characters at the exact same time of day. Relativity abounds in Bloom's cosmic reflections in the Ithaca episode. Also, Don Gifford's Ulysses Annotated explains how Joyce stretches out time by depicting the events of the day through a "rich mix of clock time, psychological time, and mnemonic time." Finnegans Wake is also overloaded with the integration of modern relativistic physics into literature. I think of E = mc2 and the discovery of the condensed energy present within every atom when I consider the unbelievable amount of meaning condensed into each sentence, each word of that crazy book. Most words and phrases in the book contain not just double meanings but triple and even quadruple meanings. As Joyce scholar John Bishop explains in his amazing book, the Wake is also written in such a way that it allows and even encourages a style of interpretation called "Sortes Virgilianae" (Latin for "Virgilian fortune-telling") in which the reader opens the book at random and interprets whatever they come across as applicable to their own personal affairs (just like the divination system of reading the I-Ching) and so you can argue that there's nearly infinite meaning compacted into the words of the book. Joyce was a master of style. It is evident right from the beginning of his career in the short story collection Dubliners which is written in a style meant to subliminally sensitize the reader to the modern day urban paralysis he was depicting. The vocabulary is a limited one since most of the characters endure a meager quality of life and words like "vain", "useless", "tiresome", and "hopeless" recur throughout the different stories. Joyce incrementally expanded on this very modern and original method of writing as he went from the gestation/growth style in A Portrait of the Artist as a Young Man, to the "dance of the hours" in Ulysses (where each hour of the day creates its own style), all the way to a completely new and strange night speech of Finnegans Wake. I think the most exemplary and entertaining example of this method of letting the depicted scene dictate the style is the amazingly musical Sirens episode of Ulysses. One of the things that's most special about Joyce is how he brings together the real and the mythical. His books (aside from Finnegans Wake) are highly detailed descriptions of the events of everyday life even down to minutely recording the flow of a character's thoughts. But at the same time there's always a sort of mythic, cosmic backdrop to everything brought about by the heavy use of symbolism and mythic correspondences and what this achieves (for me at least) is an experience such that the reader clearly sees their own everyday life as a mythic journey. Richard Aldington once wrote of Ulysses that it "made realism mystic." In The Consciousness of Joyce, Richard Ellmann explains that "In Portrait of the Artist, Stephen fears he will always be a shy guest at the feast of the world's culture; in Ulysses Joyce plays host to that culture." The number of different meanings, allusions, and culture that Joyce manages to squeeze into both the macro- and microcosm of Ulysses is simply astounding. Even just in the first chapter, which is probably the easiest section of the book, there are so many things going on amid multiple levels: the naturalistic element is obvious, but Stephen also represents Telemachus and Hamlet at the same time while elements of Dante and Nietzsche are crammed in on almost every page and the entire chapter is a satirical enactment of a mass. This occurs in every chapter of the book, the density of meaning so thick that there are large reference books listing the various allusions and references (and those still don't exhaust all the meanings!). Right from the start, Joyce had an uncanny feel for organizing the macrocosmic structure in his works. His first book, the collection of short stories entitled Dubliners, isn't like most anthologies of stories. The volume was conceived as a book from the beginning, linking multiple stories by theme, technique, subject matter, etc. and the stories are presented through four aspects: childhood, adolescence, maturity, and public life. I've thoroughly examined the structure of A Portrait of the Artist as a Young Man in a previous post, and the organized structure in both Ulysses and Finnegans Wake is staggering for such enormous texts. I've read a quote from Joyce somewhere describing Ulysses as his Notre Dame and it's not a bad comparison. I'm less familiar with the structural anatomy of the Wake, but it does use Giambattista Vico's four cycles of history as a trellis and, as artist Stephen Crowe recently argued, its structure is even more thoroughly crafted than Ulysses. Ulysses alone contains more vocabulary words (30,030) than the entire Shakespearean canon of thirty-eight plays and 150 sonnets (29,168). Reading Joyce can be very much like reading an encyclopedia. This is not an accident; he sought to make Ulysses a sort of encyclopedia with its tons and tons of references and allusions. There are at least two very large texts that seek to identify and index all the information in Ulysses but (just as with Finnegans Wake) it is often said that we'll never be able to identify all the facts, figures, stories, songs, cartoons, jokes and everything else that's jammed into it. I found my first reading of Ulysses to be extremely rich in learning, all you have to do is wikipedia search some of the stuff mentioned and your historical (or scientific, etc) perspective will be vastly expanded. "If we affirm one moment, we thus affirm not only ourselves but all existence... if our soul has trembled with happiness and sounded like a harp string just once, all eternity was needed to produce this one event---and in this single moment of affirmation all eternity was called good, redeemed, justified, and affirmed." Columbia professor William York Tindall has called Finnegans Wake the funniest and dirtiest book ever written. Ulysses contains tons of jokes, hidden or otherwise, and it guarantees a bunch of laugh-out-loud moments. These two books are big, daunting pieces of so-called "highbrow" literature but they're also comedies. "One is puzzled to guess where he is teasing, where serious, until at last it begins to dawn that the mode of disorderly burlesque is precisely James Joyce's deepest seriousness," wrote Joseph Campbell. Joyce considered himself a great jokester of the universe. The entirety of Finnegans Wake embodies this, it's all really a big joke, a great comedy filled with puns. It's fun to discover such things as the fact that the first letter of each of the three parts in Ulysses (S, M, and P) corresponds to the focal character in each of those parts (Stephen, Molly, and "Poldy" which is what Molly calls Leopold Bloom), or that the first words of the book ("Stately, plump") are a good physical description of the book itself. Robert Anton Wilson points out that there are 22 words in the first sentence of the book (and the number 22 recurs throughout the book, plus it was published on his birthday 2/2/1922). Finnegans Wake has so much of this stuff that after 50 years of exhaustive study, they probably haven't even scratched the surface. There are actually multiple books examining Joyce's use of the Kabbalah throughout the Wake. 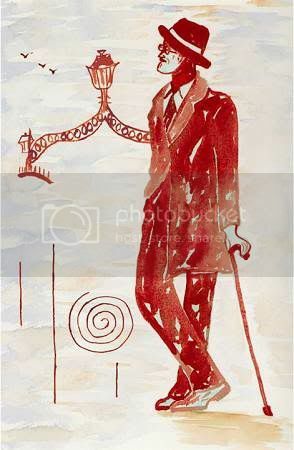 The depiction of Leopold Bloom has often been called the most complete image of a man ever presented in literature. We follow him through an entire day including his bodily functions (pooping/urination/masturbation), eating, interactions in the streets, stores, and pubs, and the whole vast range of his mental travels. The Molly Bloom monologue in the final chapter has been praised by feminists because of its unbelievably accurate look into the flowing thoughts of a woman's mind. And, personally, one of my favorite things about Ulysses and the Wake are the characters that are based on Joyce himself (Stephen Dedalus and Shem the Penman, respectively). He was born into a middle class family, but his parents kept popping out children until the family was broke. His father drank away any money they had and they eventually had to move from one domicile to the next because they couldn't make the rent. Growing up he lived in at least a dozen different places. His mother died relatively early in his life (when he was around 20) and the household fell into jagged shambles as his father descended into alcoholism. When he started a family of his own he inherited his father's penchant for boozing away all the family's money and, again, they kept getting kicked out of apartments and houses. No exaggeration, he lived in at least 30 different addresses. Through all of that, he would have a horrible time getting his work published, starting with Dubliners for which he battled publishers for almost 10 years until it saw the light of day. The greatest novel of the 20th century was banned, burned, and lambasted when it first came out. The book was considered illegal in the United States and Britain for 11 years after it was first published. "It was as if around the old hero---doesn't Finnegans Wake seem to be man's answer to the sphinx?---some obscure vengeance of the gods was falling." That Joyce knew more about language than any other writer. Which is what a writer should know about mostly. But why evaluate. Again for me, Joyce intends we should enJOY(ce), laugh etc. The deeper we go, the more we enjoy. Happy Bloomsday, PQ. I know it's over for you, but I was out celebrating with the SC Wakers till late, so this is the first chance I've had. We're all lucky to have become acquainted with him. You're right about that. Somehow I didn't think to put his mastery of multiple languages in this list. Probably because I was very deep into Ulysses at the time and didn't consider Finnegans Wake as much when putting it together. Sounds like you had a good time. My day was eventful as well. 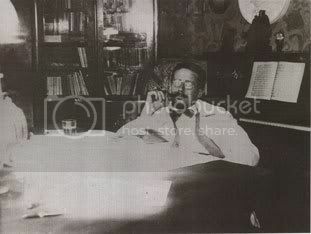 Found myself giving the basics on Joyce to a friend for a while and he was amazed that such deep material even existed. What a fantastic blog post. Thanks! I think our intellectual-artistic culture has still not caught up to Joyce; despite all the writings about his "paleomodernism" or that he was one of the first postmodernists, or that pomo is now dead: whatever. 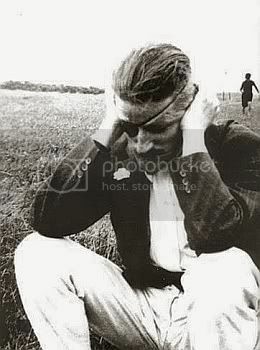 Joyce is still so cosmically funny, encyclopedic and informationally drenched in the mathematical sense that he's quite enough for me, and probably always will be. McHugh wrote a very short book on FW and he shows how to read a few passages. I've turned on a few who wanted to figure out how to get a foot in, and they told me it helped them. I should take another look at Bishop. My pleasure, Michael, thanks for reading and commenting! This list was originally a challenge I gave myself to come up with. First jotted the list a while back and then fleshed it out over time. What's funny is that it does a good job summing things up and yet I didn't say that much about Finnegans Wake which is his masterpiece. I guess I didn't want to lose people because indeed, like you said, the intellectual-artistic culture still hasn't caught up to that one. McLuhan and some of his disciples have written great material on the Wake as hyperspace, Jorn Barger argued that Joyce invented Artificial Intelligence with the Wake.